India has in its brilliant annals of literary heritage a refulgent luminary and a great humanitarian soul called “Rabindranath Tagore”. His prolific prowess in literature was so immense that his name is held in high reverence and adoration even today across the world. Rabindranath Tagore was the first non-European to win Nobel Prize in literature in 1913. His gamut of philosophy is so expansive that the every human being in the whole world was embracingly included with affable kind-heartedness, paying scant regard to man-made frontiers. Rabindranath Tagore's affection for every human on the earth, his concern for the well-being of total mankind, his ardent emphasis on spiritual relation between man and God occupy a dominant place in his literary works. Even after seven decades of his demise, his awe-inspiring magnum opus “GEETANJALI” is regarded as the most pious and sacrosanct work characterized by deep sincerity and mellowness. His literary creation Geetanjali had won him Nobel Prize in literature in 1913 and kept him rightly perched among the galaxy of eminent litterateurs. His fame touched the roof of literary firmament when his lyrical work “Jana gana mana” was adopted as the national anthem for India. The limitlessness of his concern for aiming at non-existence of economic and social disparities of the total mankind on earth and his heart-felt anguish for eradication of inequalities in the world had earned him a title “Vishwa Kavi” (Universal Poet) accorded to him endearingly by a vast sea of both erudite and non-descript admirers in strong consonance across the world. 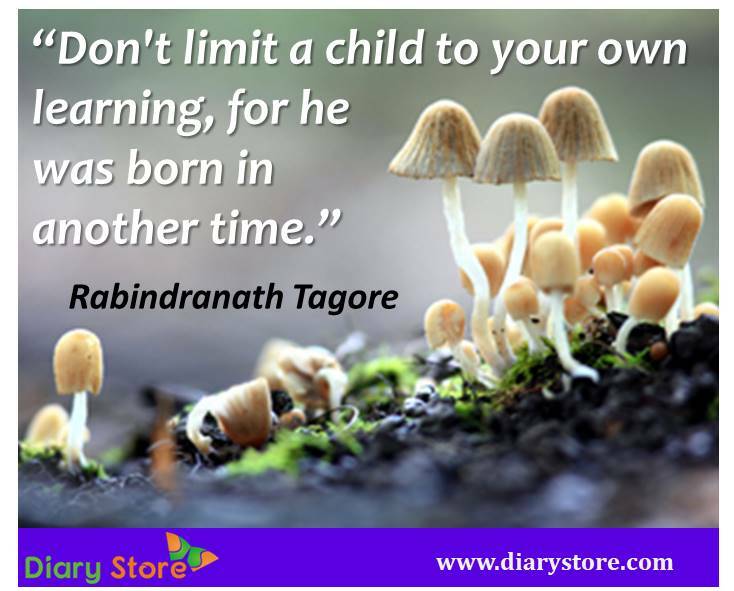 Rabindranath Tagore began disseminating aroma of poetry when he was a kid of 8 years. He was born on May 7, 1861 in the city of Calcutta (presently Kolkata) to Debendranath Tagore and Sharada Devi. When he turned 16, his first large collection of poems was published and he wrote his first short story “Bhikarini” (The beggar woman) in Bengali and dramas. Tagore grew up mostly in a domestic ambience filled with fine arts like classical music, drawing and literature. His oldest brother Dwijendranath Tagore was a philosopher and poet. His brother Jyotindranath was a music composer and playwright. Rabindranath Tagore’s father Debendranath Tagore was a staunch religious reformer and Hindu philosopher who was the founder of Brahmo religion in 1848. Rabindranath’s sister Swarnakumari was a novelist. His sister-in-law Kadambari Devi (Jyotindranath’s wife) had a great influence on his literary works. When she committed suicide 1884 for reasons not known, Rabindranath Tagore was crestfallen and it took him many years to come out of bereavement. Rabindranath Tagore was married to Mrinalini Devi in 1883 and he had five children of whom two died in childhood. In 1890, the burden of managing the ancestral property was taken up by Rabindranath Tagore. 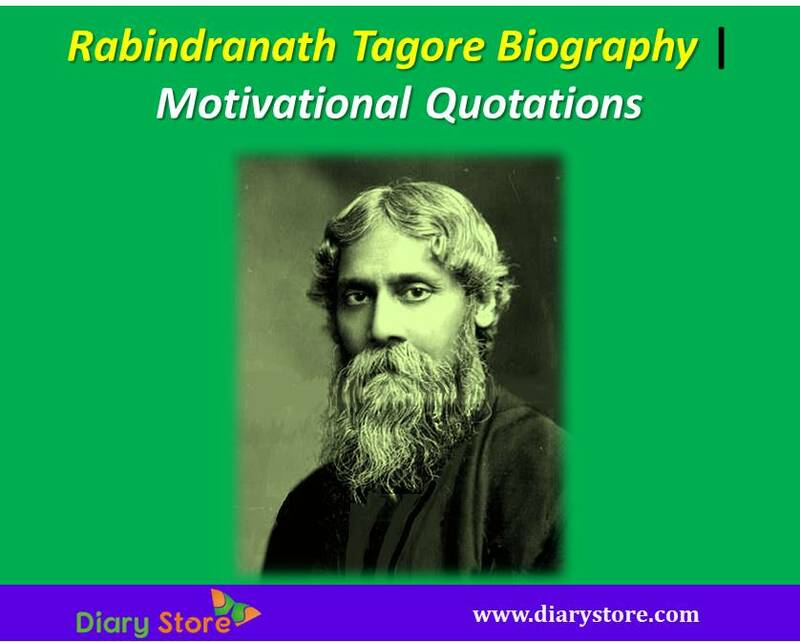 The period from 1891 to 1895 proved to be the most productive in the life of Tagore when he wrote more than fifty percent of Galpaguchchha, a famous collection of 84 stories. In 1901, he moved to Santiniketan founded by his father which was used a spiritual centre and people from all religions, castes and creeds gathered regularly to participate in meditation. Rabindranath Tagore’s father metamorphosed Santiniketan in 1893 into an institution with a curriculum, a unique blend of art, human values and cultural heritage. The institution was renamed by him Viswa Bharati in 1918 and was inaugurated three years later. He is also admirably referred to as “Bard of Bengal” which denotes his top-most position in the world of Bengali literature. As a visionary of advanced outlook, he was centuries ahead of his time. The prime principles of Santhiniketan were to ensure that education imparted there had always deep roots in its surroundings but never ignored the due relevance to the culture of the outer world. The ever-adorable literary work of Geetanjali of Rabindranath Tagore had a special feature which brought out clearly the essence of the author’s mental anguish over socio-economic inequalities and his solemn appeal to God for eradication of social barriers like caste, creed. The eliteness of his delicate thought is felt in every word, every line in his poetic expression. When his written style was praised profusely by eminent scholars in England, Rabindranath Tagore had politely submitted his humbleness by stating that the English version of Geetanjali did not deserve the high degree of acclamation as was showered upon by them because it did not have the basic rhyme, rhythm and the traditional maintenance of length of lines was conspicuously absent. All the accolades he received were embarrassingly accepted by him quoting it to be an emotive act of exaggeration. Tagore expressed openly that he lost nothing by reproducing the original Bengali songs in pure prose which did not miss the main essence of the opus. The English version of Geetanjali is a combination of 103 poems, out of which 53 from the original Bengali Geetanjali and the remaining from his other famous Bengali works Gitimalya, Naivedya, Kheya etc. When we shuffle the pages of his might piece of poetry, we are likely to stumble upon the more widely discussed parts of the work, like “This is my prayer to thee, my Lord….” , wherein he upholds the ultimate inevitability of gaining moral strength to treat joys and sorrows equally; mere utopian concept of love for the imbecile would be of no use unless some practical help is extended to the acutely needy poor ; and the necessity for erecting mental fortitude to care a tinder’s cuss for the superciliousness of wealthy selfish rogues; and whatever strength we possess emanates from and bestowed by the God alone. Rabindranath Tagore’s Geetanjali was wrongly considered as the culmination of his poetic genius. In fact, it was the beginning of a bigger literary deluge to follow. Subsequent to his earlier novels Naukadubi (1906) and Gora (1910), he also penned the novels Chaturanga and Ghare Baire (both in 1916), Shesher Kobita and Jogajog (in 1929) and Char Odhay (in 1934). In addition to novels, he scripted many music dramas and plays, in which he essayed important roles along with his family members. His works were subsequently taken upon by many scholars for translating into different languages. Those who were able to interpret correctly the actual essence of his works came to be hailed as great scholars themselves. It always requires a formidable magnitude of literary strength for venturing to make a cursory attempt to comprehend his lines. As an epitome of humanism, Rabindranath Tagore always resented the policies of imperialism. In protest against the wicked military act of ghastly massacre by the British in Jallianwalah bagh in 1919, he renounced the knighthood conferred by the British Crown, echoing the painful cry of unarmed dying people. During the last five years of his life, Rabindranath Tagore had to tolerate the physical pains of chronic illness of kidneys and other related ailments. Towards the end of 1937, he became bed-ridden and lost consciousness for a long period. In late 1940, he sank into a similar state of coma from which he never recovered. It marked the prolonged suffering for a lengthy period till August 7th 1941, when he breathed his last. 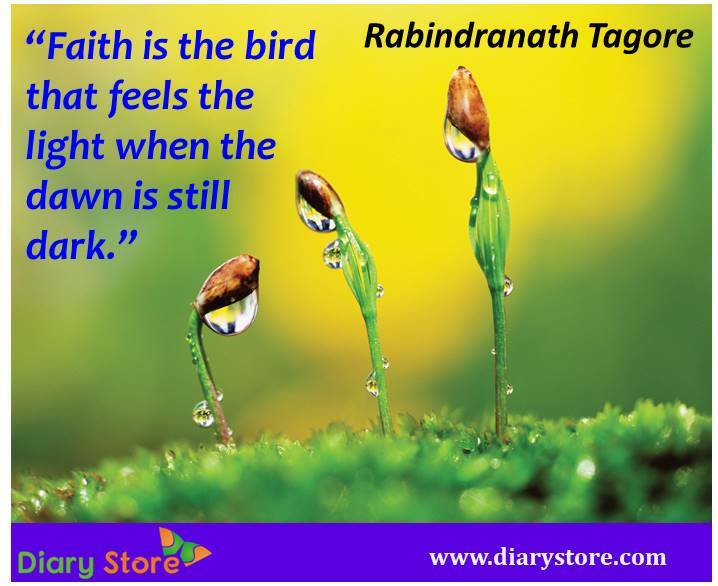 Even after several decades of his demise, Rabindranath Tagore continues to stay irreplaceably at the apex of literary world. His eloquent prolific standards of literary talent still remain unattainable. His sobriquet “Gurudev” (Divine Teacher) aptly explains his stature. He is truly an ever-burning literary beacon that knows no mortality. “Love does not claim possession, but gives freedom”. “Bigotry tries to keep truth safe in its hand with a grip that kills it”.